Hopping Fun Creations - Wild Weather! Wild Earth! BLIZZARDS! begins with the incredible tale of two historic storms in one deadly year. In 1888, a warm winter day in the Plains states exploded into a blizzard, trapping schoolchildren, families, and farm animals. Two months later, a blizzard shut down the entire Northeast coast. A scientist from the National Severe Storms Laboratory explains why blizzards aren't just big snow storms. Recent blizzard survival stories reveal the dangerous effects of cold on the human body. I've "survived" blizzards myself, including the 1978 Blizzard of Kalamazoo, in warmth and safety indoors. Here's how you can, too. 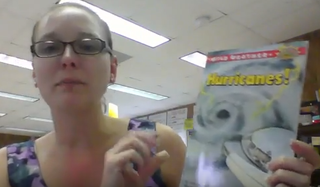 Maestra Heather reads aloud "Wild Weather: Hurricanes!" and "Wild Weather: Blizzards!" on YouTube (free). "Combining actual incidents (e.g., teachers rescuing their classes during the storm of 1888, and deer in a Buffalo zoo escaping over snowdrifts in 1977) and scientific weather data in an easy-reader format makes this title a sure choice for whole-language science curricula. Included are windchill tables; a page of "Blizzard Tips"; information on the formation of winter weather patterns; and a look at the meteorologist's task of sifting through incoming data, computer projections, and personal experience to predict the onset of severe storms. . . . This title is a tidy introduction to a fearsome weather phenomena (with a nice lacing of history to boot)." "Hopping does a very good job with this entry in the Hello Reader! Science series. She grabs readers' interest by first dramatically describing several blizzards in which lives were put in peril. She then goes on to describe the weather conditions that bring a blizzard into being. The . . . whole package is one that will inform new readers, challenge their reading skills, and pique their interest in nonfiction." More Science for Young Readers! Q. Why did the meteorologist break out in a sweat? A. Because his forecast was dew. Q. What do misers do during a cold snap? A. Sit by a candle. Q. What do misers do during a very cold snap? My eight chapter books (illustrated by Jody Wheeler) are aimed at readers ages 6 to 9. They weave science facts into true stories of survival and risky science investigation—flying through a hurricane, walking on a live volcano, and more! Wes Bennett is a veteran pilot who describes what it's like to fly an airplane through the center of a hurricane—again and again—to collect data. This data, along with satellite photos, help scientists track the huge, deadly storms as they spin across the Atlantic Ocean. Woven into the true-life tales of historical hurricanes is the basic science behind how these massive storms form, what fuels them, and why their wide, destructive paths are challenging to predict. HURRICANES! is my personal favorite of the Wild Weather series and also the best-seller at 800,000+ copies (and counting!). Hurricanes! flies young readers into the heart of a storm! Click on the image to see a listing of all my books on Amazon author page. Scientists chase storms all over Tornado Alley in the Midwest in the hopes of spotting and studying tornadoes. Sometimes, they get a little too close! Since the only defense against a tornado is to avoid it, these scientists hope to issue more timely and more accurate warnings to save lives. I live in "tornado country" and have seen twisters (from afar, thankfully), so researching and writing this book really hit home! With more than 500,000 sold, it's the second best-selling book in the series, after Hurricanes! The tornado chasers realized that the tornado was now chasing them! 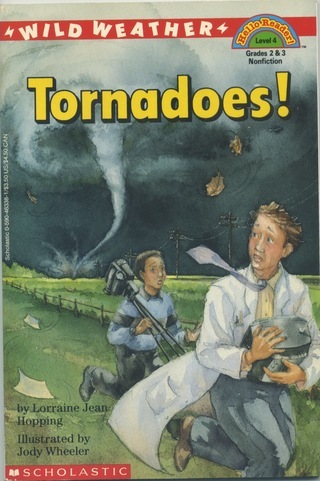 For very young children, I recommend "Tornadoes!" 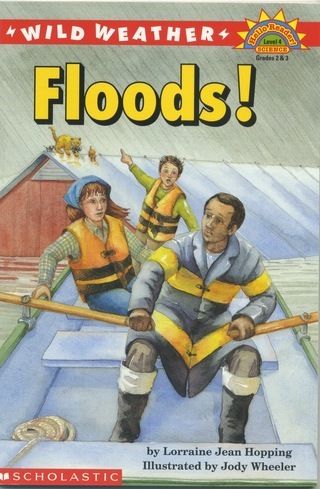 in the Wild Weather series (Hello Reader! Level 4 Science) by Lorraine Jean Hopping. 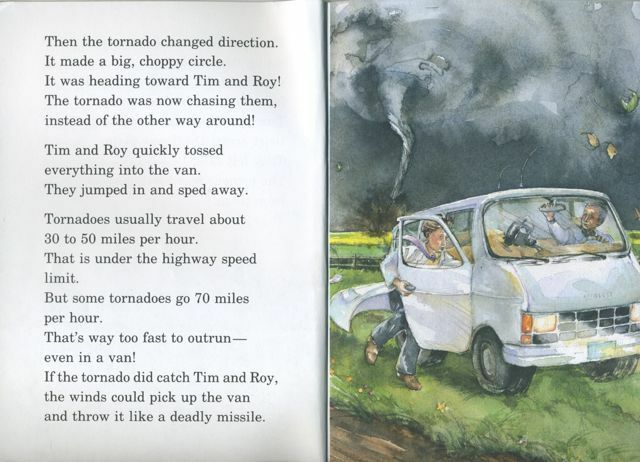 It is an exciting book about scientific storm chasing, tornadoes and tornado safety. 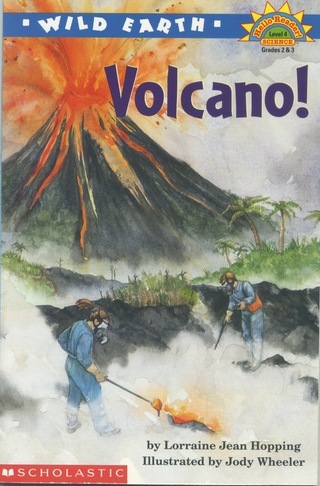 The book is very accurate for a children's science book yet very understandable. 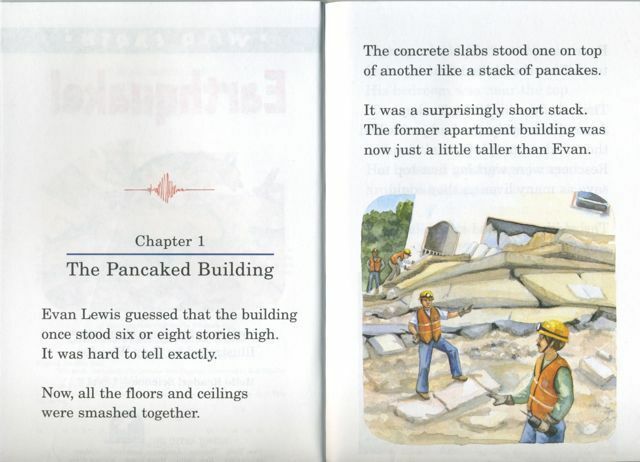 Many children's science books are sloppy and full of errors. Although listed as for grades 2 and 3 (ages 7 -9), many younger kids should also be able to enjoy the book. I purchased this for my almost-5 year old who is fascinated by tornadoes... 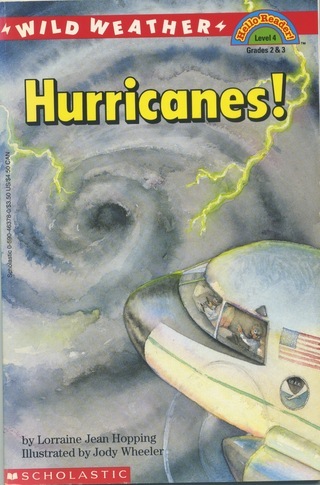 I'd definitely recommend this book if you have a tornado-fascinated child around the ages of 5-10. I admired your book Tornadoes! It has a lot of tips about tornadoes and what they can do if they strike in your area. It also has a lot of action and when there are tips and action, I just can't stop reading. It's sad that even though people get information that a tornado is coming and they go to a safe place, they still get injured or killed. They get sucked up, their roof falls down on them. Hopefully, you make another book just like this book, Tornadoes. Third grade lessons based on "Tornadoes!" While others take cover, scientist Maribeth Stolzenburg and her team seek out dangerous desert thunderstorms in order to release high–flying, data–collecting weather balloons. Another science team uses wires and rockets to trigger lightning strikes on purpose in the stormy skies over Florida. Cameras and other instruments can record these deliberate, split-second bolts more easily than natural ones. Meanwhile, a teacher, a hiker, a park ranger and others survive lightning strikes, but suffer from heart problems, memory loss, and other injuries. This books explains how everyone can stay safe from this common and deadly danger. [Lightning!] will whet the appetites of young scientists. Hopping introduces children to an amazing and deadly natural phenomenon. Many interesting facts about the study of lightning from the historical (Ben Franklin) to the modern (today's computer technology) are included as well as cultural connections (Zeus) and the experiences of people who have survived being struck by lightning. The watercolor illustrations include maps, diagrams, and action scenes. The Wild Weather series presents a new addition, Lightning! It's a little volume that cracks with information and excitement! . . . The book opens with the story of Sherri Spain, a teacher from Memphis, Tennessee. Spain loved to watch thunderstorms -- until one day in 1989. A bolt of lightning struck a steel door near where Spain was standing. That lightning strike left Spain with some loss of sight and hearing. It drained the color from her dark hair, turning it white. Memory loss was another bad side effect for Spain, a history teacher who relied on her memory of facts. 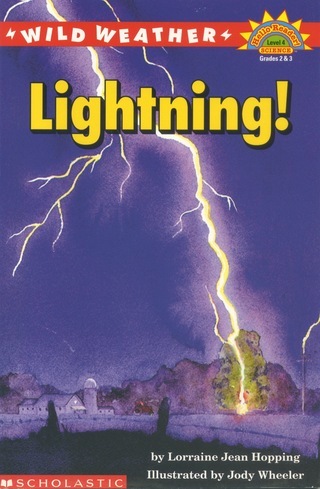 This story and others told by Hopping provide a testament to the power of lightning as they teach important lessons that all young readers should know. Hopping doesn't slight the science of lightning. That's covered in detail too. 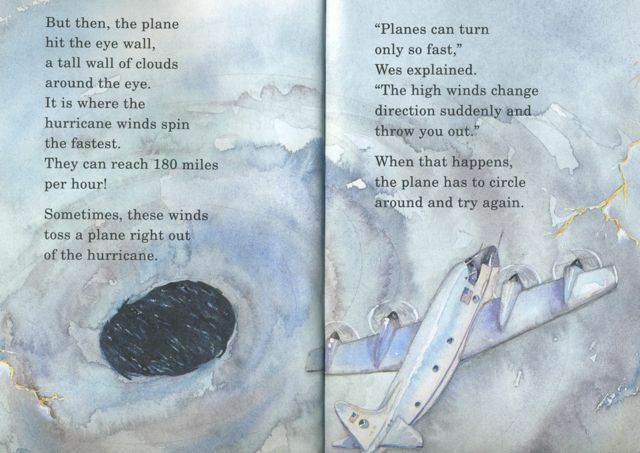 The Wild Weather series would make a great addition to any primary grade classroom or school library. After a major earthquake in Turkey, an 8-year-old boy is trapped alive in his family's collapsed apartment home. Three days later, he emerges alive, thanks to a hard-working American rescue crew. Earthquakes are happening right now, as you read this, somewhere in the world. The Earth's broken crust is constantly shifting like cracked ice on water. Exactly when an earthquake will happen is impossible to predict accurately. But scientists have a pretty good idea of where and how they'll occur. 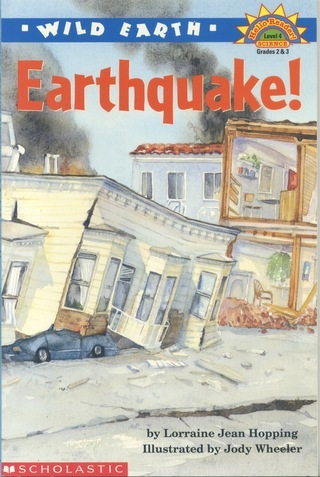 Dr. Lucy Jones, the seismologist in charge of earthquake monitoring in southern California, provides some great tips about what to do during an earthquake. Four boys from a small town in Minnesota sled down the slopes of a gravel pit and quickly find themselves buried in an avalanche of snow. One boy barely slips free, just in time to summon help and save his friends' lives. Because buried victims usually survive for just minutes before suffocating, rescues by trained dogs, radio beacon, and avalanche rescue squads are fast—and dramatic. Find out how and where avalanches happen and why they are so dangerous. 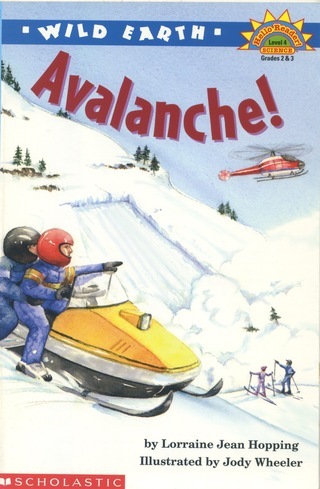 We ran across your book Avalanche and . . . we love the way you captured the important lessons in such a great format and want to encourage students to read it to reinforce our lessons. Scientists urge thousands of people living on top of Mt. Pinatubo evacuate because the Philippine volcano is about to explode. But when? And how big? The eruption would turn out to be the strongest blast of the 20th century. Predicting eruptions is a dangerous job; scientists have died while studying active volcanoes. But it's also a life–saving job. Millions of people live on or near active volcanoes. A band of curious children, unaware of the danger, wander down to the local river to watch ice-jammed water steadily rise over the banks. As the frigid water begins to take over downtown Montpelier, Vermont, everyone has to clear the city—children included—fast! FLOODS! also includes amazing survival and rescue tales of the famous Johnstown, Pennsylvania, and Mississippi River floods. I interviewed Kate White, an ice jam engineer who gingerly walks onto ice-covered rivers to measure and predict the flood danger and warn citizens when it's time to evacuate to high ground. Kate keeps a close eye on her instruments, watching for any sign of fast-rising water, which means the ice is about to crack beneath her feet! More than once, she's had to rush to shore, retracing her path footstep by footstep to avoid falling through weak spots!